Net Neutrality Plan: FCC Chairman Wheeler Backs Regulating Internet As Public Utility : All Tech Considered The Federal Communications Commission has received 4 million comments on "net neutrality." On Wednesday, the FCC chief laid out what he calls "the strongest open Internet protections ever proposed." Federal Communications Commission Chairman Tom Wheeler unveiled his plan in a Wired op-ed on Wednesday. The FCC is scheduled to vote on the proposal Feb. 26. Updated Feb. 4, 11:52 a.m. ET: Wheeler Outlines His Proposal In Wired. Today is the day net neutrality watchers had been waiting for, according to numerous reports. After months of debate, discussion and the culling of nearly 4 million public comments on the matter, the Federal Communications Commission appears poised to decide how it will regulate the Internet. "I am proposing that the FCC use its Title II authority to implement and enforce open internet protections. "Using this authority, I am submitting to my colleagues the strongest open internet protections ever proposed by the FCC. These enforceable, bright-line rules will ban paid prioritization, and the blocking and throttling of lawful content and services. I propose to fully apply—for the first time ever—those bright-line rules to mobile broadband. My proposal assures the rights of internet users to go where they want, when they want, and the rights of innovators to introduce new products without asking anyone's permission." The FCC issued more details of Wheeler's proposal Wednesday afternoon. The FCC had to essentially start over on its net neutrality rules after its old rules were struck down by a federal court in January 2014. Net neutrality is the concept that your Internet provider should be a neutral gateway to everything on the Internet, not a gatekeeper deciding to load some sites slower than others or impose fees for faster service. At issue now is how to ensure this concept. Wheeler originally floated a proposal last summer that received wide backlash from Silicon Valley companies, open-Internet supporters and even the White House. So the new proposal would "fundamentally change the way it oversees high-speed Internet service," The Wall Street Journal reports. It would do so by proposing to regulate the Internet as a public utility, like telecom companies. The move is supported by President Obama, who made waves last fall when he came out in support of treating Internet service providers like telecommunications companies. It would subject the ISPs to closer oversight of how they manage traffic on their networks. For example, the FCC would ban broadband providers from slowing down your Netflix streams. "The rules shouldn't change how most consumers experience the Internet in the short-term, as they would largely codify what has been voluntary practice for the broadband industry. Down the road, however, they could make it easier for companies to offer bandwidth-hungry services such as online video-streaming without having to first seek approval or enter into business arrangements with the broadband providers. "Changing the broadband industry's regulatory status could also have ramifications beyond the immediate question of how to enforce net neutrality. While Mr. Obama and others have said they don't want the FCC setting prices for broadband providers, a future FCC may decide differently. Reclassifying broadband as a telecommunications service may also amplify calls for the government to subsidize the deployment and adoption of broadband networks in underserved areas." 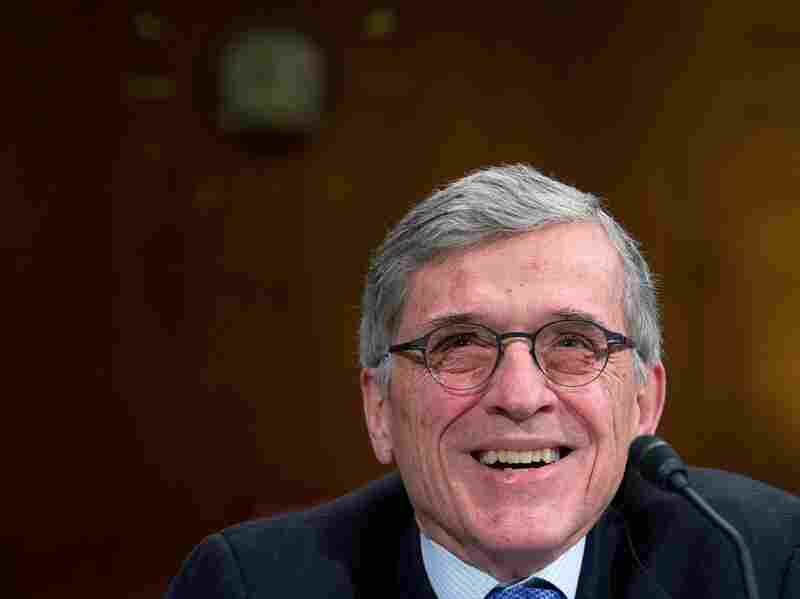 The FCC is expected to vote on Wheeler's latest proposal Feb. 26.